Happy Fourth of July! Have fun celebrating. Today, I plan to take a friend to the Liberty Bell. Tomorrow, I plan to go to church, out to brunch, go to a local celebration, have a cook-out and then sit outside to watch fireworks. Because of where we live (close to Philadelphia) we can watch four fireworks displays from our driveway! Mithila, I'm so glad you like my books. Have you checked your local library for more books? I've been going to my library a lot lately. The nice thing is that if they don't have the book you want you can ask them to order it, or borrow it. Kendra, I would love to visit your library. Please ask your librarian to invite me. 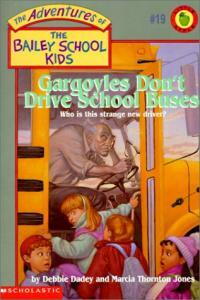 I got the idea for Gargoyles Don't Drive School Buses from where I used to live near Chicago. There was a building that had cool gargoyles on it. Hey Mina, thanks for your fun idea. Are you planning on writing any stories this summer? Maybe you'd like to join my summer writing club. Information about it will be on my homepage this week. Writing is hot stuff! I don't know about where you live, but it's definitely been hot here in Pennsylvania. Hania, I'm so glad you love my books. You sound like a fantastic reader. 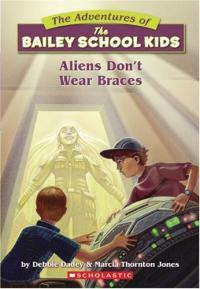 Did you know we got the idea for Aliens Don't Wear Braces from a student in one of Marcia's classes? 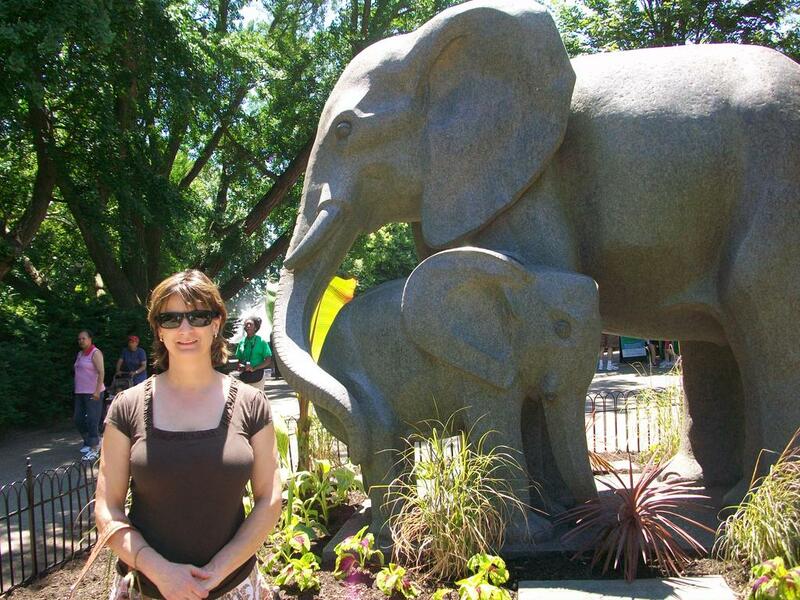 I got a headstart on this summer by going to the Philadelphia zoo. I hope you get a chance to check out your local zoo this summer. Cassidy, Marcia T. Jones is a friend. We used to teach at the same school in Kentucky. She still lives in Kentucky, but I live in Pennslyvania. Once a month I meet with a group of writers. We read each others work and make suggestions on how to make our stories better. It's called a critique group and it's a great thing for a writer to do. I do think Cassidy is a pretty name. 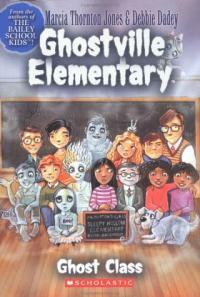 It's special just to the Ghostville Elementary books. It was so hot I got sick. I think I had heat stroke-I felt like throwing up and I ached all over. Be careful and don't get too hot! Monica, Abby, and Auburn, I'm so glad you like my books. Do you have a favorite? Auburn, I definitely think you can read all the Bailey School Kids books. I think it's good to have goals. In fact, every summer my family comes up with a list of things they want to do in the summer: things like go on a picnic or go on a hike or read certain books. I just realized it's time for me to get busy on my list. Maybe you guys will want to make up a summer list of your own. Auburn, I have three great and sometimes noisy dogs. They have been upset lately because our neighbor's cat keeps coming in our fenced yard. How can we keep it out? Angelina, I like your name. 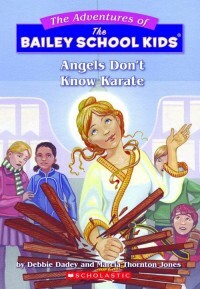 There is an Angela in Angels Don't Know Karate, but no Angelina-yet :). I'm so glad you like Vampires Don't Wear Polka Dots. Steven, good luck to you and your sister with your story. You guys might want to check out my writing page for tips. I played two tennis matches last week: I lost one and won one so I'm happy. Most importantly I had fun and got some exercise. I was sorry to see the Flyers loose in a heart- breaking Stanley Cup overtime loss, but congratulations to the Chicago Black Hawks. Cassidy, did you know I have a whole series with you as one of the main characters? 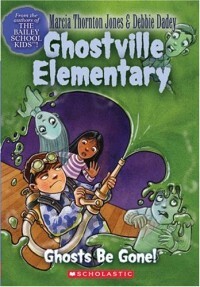 Cassidy is in all the Ghostville Elementary books. I have been an author since my first book came out in 1990. Of course, I'd love to be friends! Hayley, here's a picture of me writing with my dog Shadow. Be careful what you send over the Internet. Things can be traced back to the computer you used. 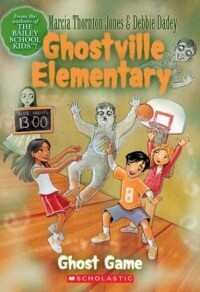 Mathilde, I do hope we get to write more Bailey School Kids books. They're fun to write! 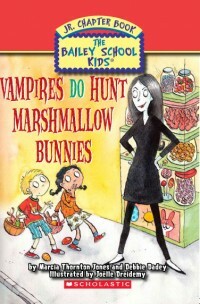 Indu, did you laugh when you read Vampires Do Hunt Marshmallow Bunnies? Steven, I had to laugh at the idea of Eddie doing lots and lots of homework AND the thought of him drawing a mustache on his rear end! Too funny! Eddie's mother had cancer, which was not funny at all. Happy Birthday to you and thanks for all your great ideas. Marianne, Marcia and I had considered writing a medusa story before. I think it could be fun. Danielle, I'm so glad you like my series. Which one is your favorite? You can check out the different ones on my book page. Maybe you'd like to try my Swamp Monster in Third Grade series. 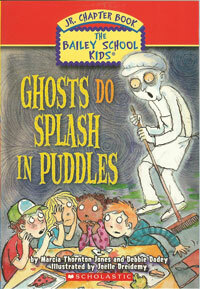 Frank and Rick, do you think there was a real ghost in Ghosts Do Splash in Puddles? I think there might be! 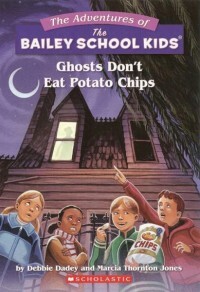 If you like ghost stories you might like to try Ghosts Don't Eat Potato Chips or the Ghostville Elementary series. Hayley, it sounds like you had a great Memorial Day weekend. I did too. It's good that we remember all the soldiers who gave everything so that we might have freedom. Hadley, your story sounds fun. What if she finds a husband in a visiting general from another country or maybe in one of her body guards?